Recently, I was challenged on Facebook to name the ten books that have stayed with me some how. Considering what an avid reader I am, that's a pretty tall order, but let me take a shot at it. I have fond memories of my parents reading to me when I was a child. To this day, I can still recite passages from Green Eggs and Ham. Seuss can be fun and topical even for today's readers. While my discovery and lifelong love of comic books predate this, I have made no secret of the fact that this was the first straight prose, no interior images, book I ever read on my own. If I wasn't already on the road to wanting to be a writer by this point, this book certainly inspired me on that path. While some claim the material is “dated”, I say it and the overall series still stands on its own creative merits and Burroughs imagination. 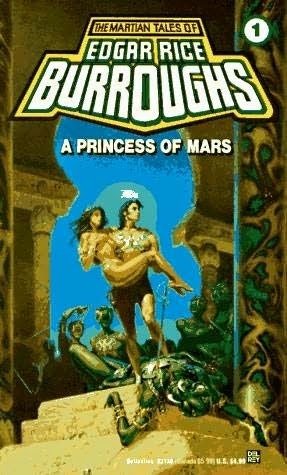 I also highly recommend the rest of the Barsoom (Mars) novels and Burroughs' Carson of Venus series too. There are three authors whose work I discovered via television. 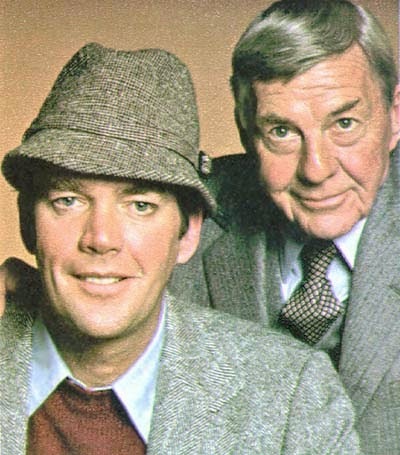 In order, the first was the wonderful, but short lived series from the 1970s featuring Jim Hutton as Ellery and David Wayne as his police inspector father. These are such great mysteries that only time I ever beat Queen and solved the case before him was because I had read the short story that the episode in question was based upon after I started hunting my local library for his books. Yes, I know the back story about the two cousins, but you have to admire the “fair play” presentation of the mysteries (something I strive for in my Hugh Monn, Private Detective series) and it's a dang shame the respective estates will not allow the book series to continue in other capable hands, for I feel the characters would work well and are much needed in the 21st century. 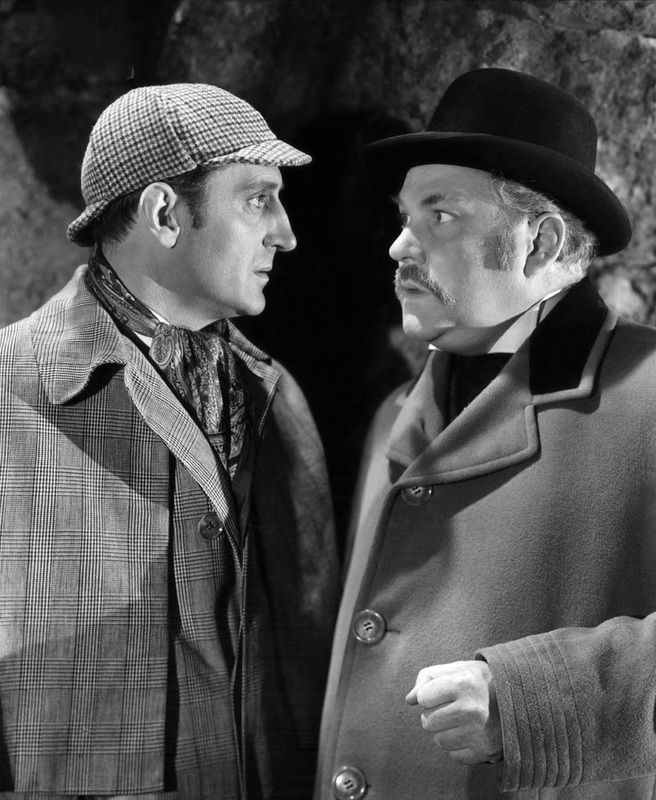 A few TV presentations of movies featuring Basil Rathbone as Holmes and Nigel Bruce as Doctor John Watson led me to Sir Arthur Conan Doyle. While Edgar Allen Poe is accredited with creating the mystery genre, Doyle is the first author to create a very (if not the most) popular series within it, with both Holmes unique powers of observation and his human foibles, as represented by THE SEVEN PERCENT SOLUTION, which is also an interesting post-Doyle novel by Nicholas Meyer. A diverse collection of authors have taken on the Victorian detective since Doyle's passing, but the originals are well worth (re)reading. HONORABLE MENTION: Laurie R. King's excellent Mary Russell-Holmes novels. 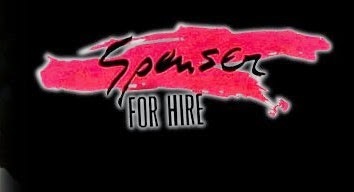 Like Queen and Holmes, I first discovered Parker's most famous creation via the Spenser: For Hire television series back in the mid-1980s before becoming interested in the books, but found out the hard way that it's best to read them in order, starting with The Godwulf Manuscript. Parker's writing style and story presentation have definitely influenced many a mystery writer, including myself on the Hugh Monn, Private Detective series. Basically, what NOT to do in a novel, for this is one of the few times where the movie adaptation is far superior to the original prose. 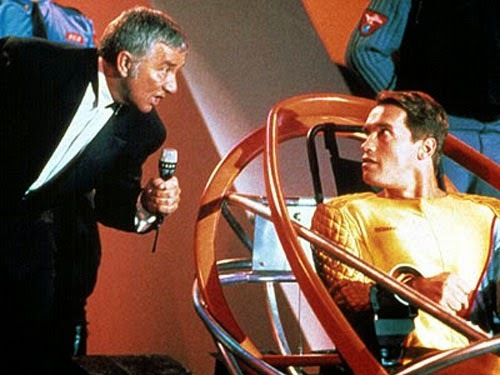 I went looking for the book after seeing the Arnold Schwarzenegger-Richard Dawson film and was seriously disappointed. 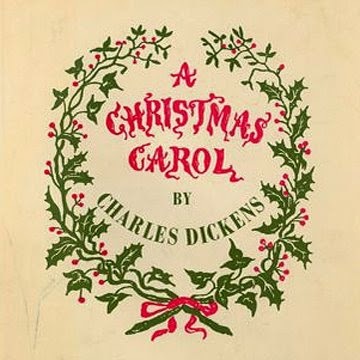 There have been many adaptations of this literary classic since its first printing, but the original novel of human redemption is well worth reading. I read this novel of the government faking a manned mission to Mars with disastrous results long before I ever saw the movie. A tense page turner and a sad reflection on the state of Earth's space program even over three decades after its original 1978 publication. 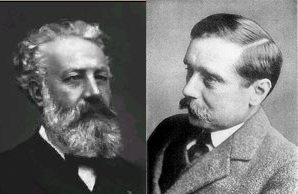 While I did not discover their books until long after appreciating Burroughs, the works of these two gentlemen showcase the creativity of both the authors and the genre, especially considering how far in advance the books were written of such things as nuclear submarines, personal computers, etc. 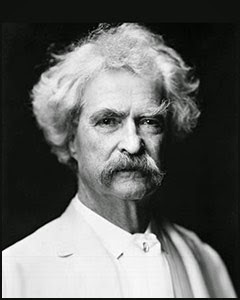 While noted for his humor, there is an underlying sense of “telling it like it is” within Twain's works, no matter who it might offend. Some critics today try to censor his words for not being “politically correct” or whatever the current buzz term(s) might be. I wonder why everything of the past must be viewed with rose colored glasses? As stated at the beginning of this post, being such a very avid reader, there are way too many books and authors to limit this to just ten, so while everything might not be in exact chronological order, I picked some of my earliest reading memories appropriate to the challenge. All images via Wikipedia and/or Google and believed postable under common usage applications.